At Kramer Construction in Mount Pleasant, we believe in keeping the earth around for as long as possible. Choosing roofing materials can be a daunting and complicated decision and we’re aware that choosing a roofing material that’s actually sustainable, durable and attractive is a whole other hurdle. Most homeowners in the Mount Pleasant area try to shop for roofing materials and (understandably) get over-analysis paralysis. As the best residential roofing experts around, we hope to relieve some of the stress of choosing the right roofing material for you and for the longevity of the earth. From popular to earth savvy, we’ll analyze the viability of all of your options below. 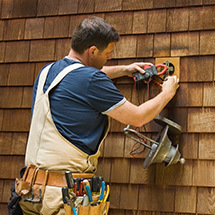 If you’ve called in a roofing contractor and they’ve determined there’s no hope for repairs with the roofing material you’re currently employing, you should take some time and start researching the various types of roofing materials out there. 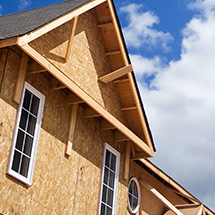 What Kramer Construction considers “good roofing materials” and what other, less choosey companies consider good roofing materials is completely different. We’re more interested in the longevity of your roofing solution than whether or not we’re making a buck. Your roof is required to stop leaks, prevent excess moisture issues and prevent energy loss when you’re heating and cooling your home, all while remaining recyclable and lasting for years to come. In this scenario, we always recommend starting with solar panel roofing options as well as metal roofing options. Metal roofing seems like a sketchy idea at first, but it’s probably one of your best bets. 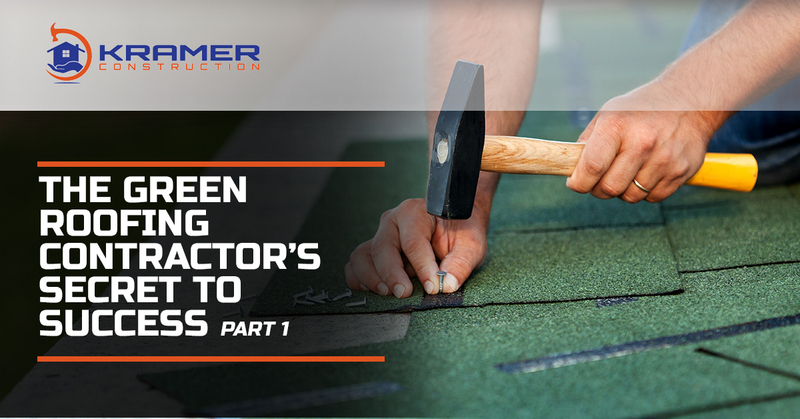 While they’re considered “energy intensive” to produce, they cover quite a few of the other bases in regard to the quality rating of a roofing material. They’re extremely aesthetically pleasing. You can choose from artfully aged copper, blue-tinted steely hues, and even dark brown colors to complement your home’s environment as well as the coloring you’ve already chosen. You can count on your metal roofing to stand the test of time beyond your wildest dreams, looking consistently the same for years to come with little-to-no aging appearance. Metal remains one of the most easily recycled materials as you can just melt it down when its life as a roof is over and turn it into anything else you’d like. You’ll be able to find various coloring options and price points in both steel and extremely lightweight aluminum. This is the roofing everyone associates with Mediterranean countrysides filled with Italian villas and Roman roads. It’s beautiful and, boy, is it durable. 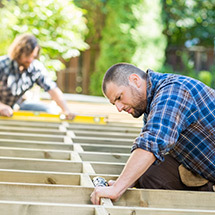 If you have the budget to invest in the potential extra supports you’ll need for the weight of a terra cotta or clay roof, they’ll likely outlive the house itself. They’re made of clay, so they’re hardly high energy to produce and they’re recyclable in the sense that they came from the earth and can easily return there. If you’re overwhelmed by the sheer number of options presented to you when you’re looking to replace your roofing material, reach out to us. We’re excited to help you choose the right, sustainable material that fits your home’s style and your budget. 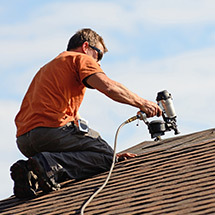 When you’re ready to invest in high-quality roofing contractors in Mount Pleasant, contact us.